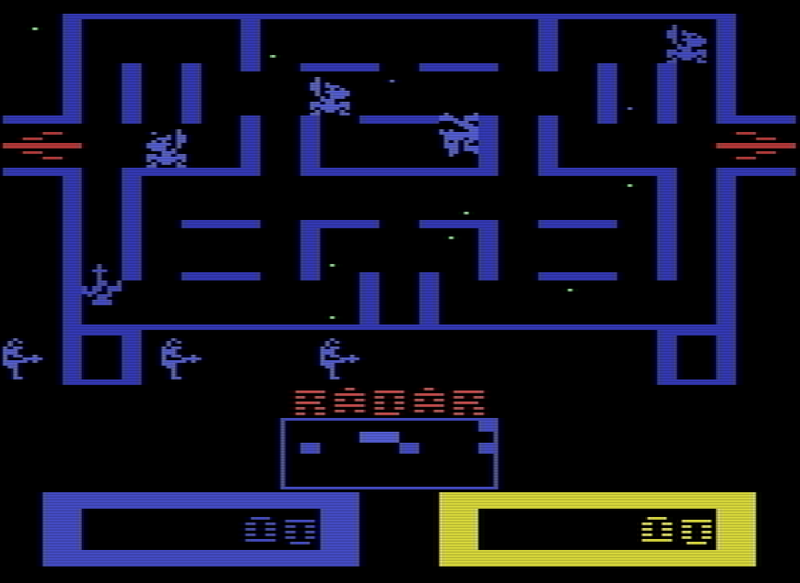 Champ Games is nearing completion on Wizard of Wor Arcade for the Atari 2600. This updated version of Wizard of Wor offers many new features from the CBS original release, including updated graphics, sound fx, more mazes, speech (using the Atarivox), high scores, and many more! One additional feature that we have created is the ability to create and save your own mazes! A maze editor has been added to the game that will allow you to create up to 3 custom mazes that are then playable as in the first 3 dungeons. 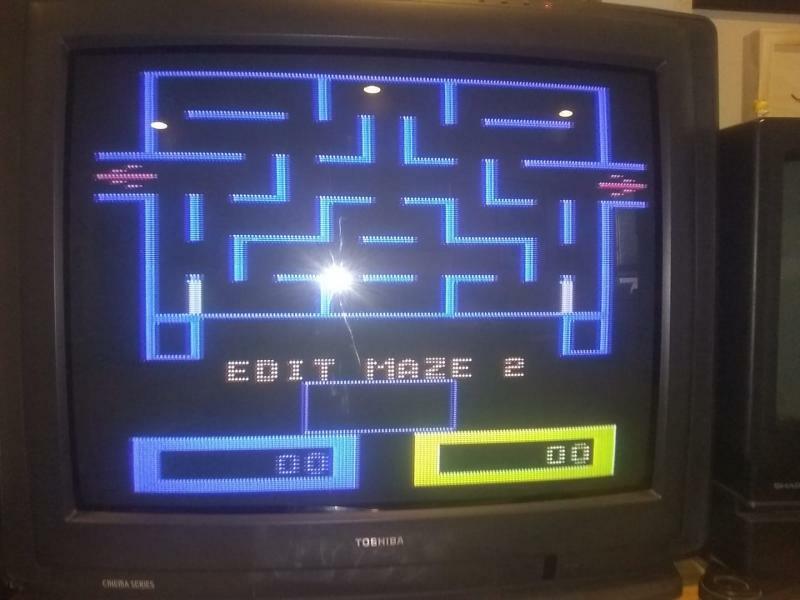 If you have a Savekey/Atarivox, you can also save the mazes so your creative work isn't lost when you power down your Atari. 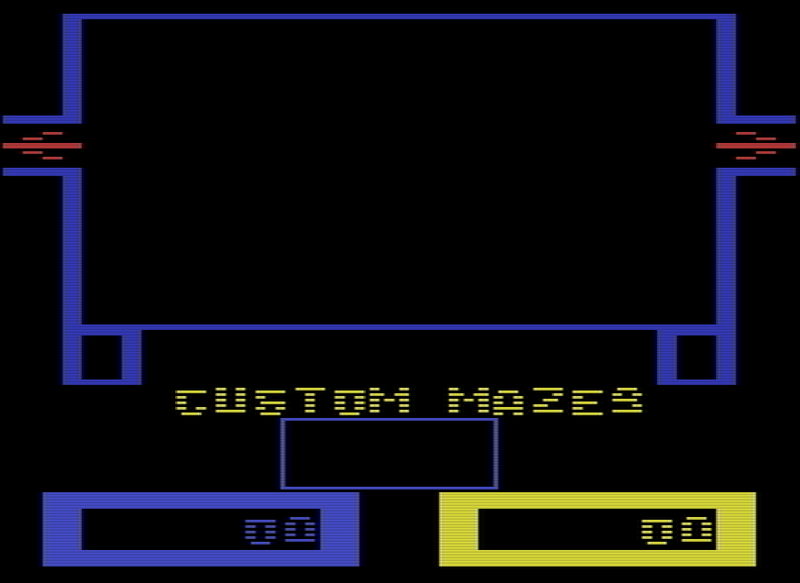 Each of the 3 custom mazes will have a default layout that will be shipped with the cartridge. This is where you come in! 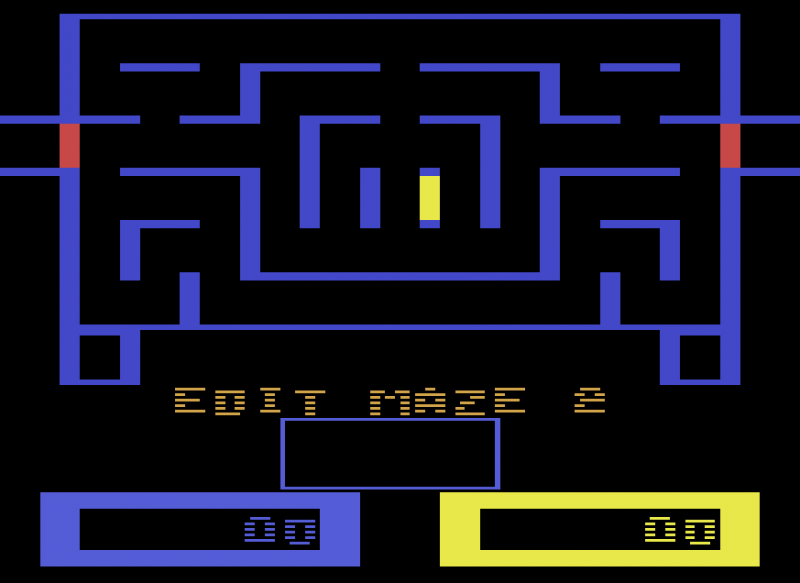 We are asking you to use the maze editor to design your best maze and send us a screenshot. 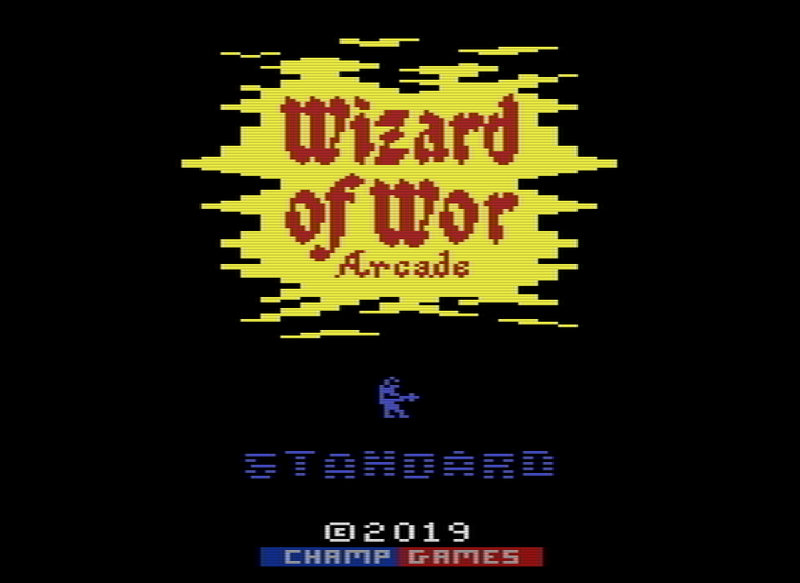 If we choose your design, it will be included in the final version of Wizard of Wor Arcade and you will have your name added to the credits section of the official manual! The contest runs from now and ends March 8th, 2019 at 12:00 midnight EST. Entries should be submitted on this thread as either screenshots taken via Stella (press F12 to take a snapshot) or as a clear photograph of the screen if using real hardware. A maximum of 3 entries are allowed per person. All 3 selections will be taken from a different person, so there will be distinct 3 winners. 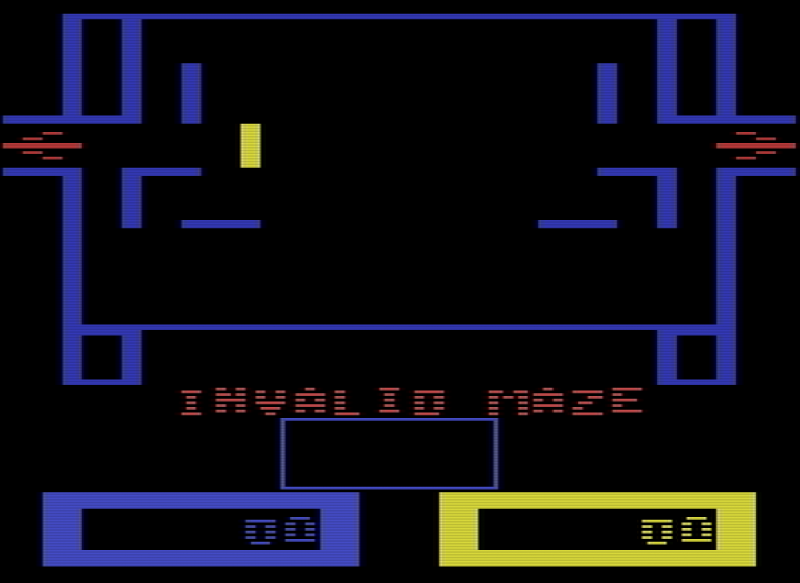 If identical mazes are submitted by different people, only the first submission will be evaluated. 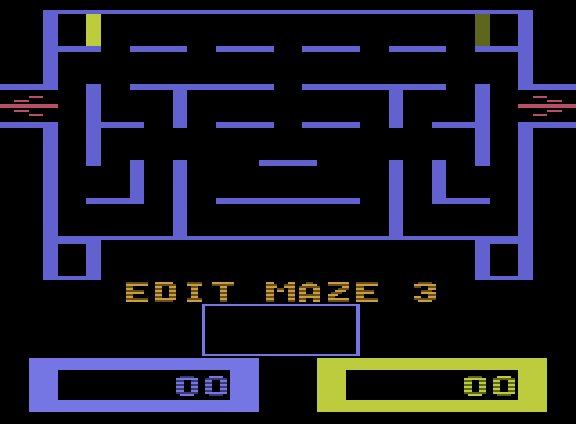 These mazes are used in the first 3 dungeons of the game, so they should be designed with no large open spaces if possible (these types of mazes are used in Worlord mazes starting at level 8 ). The winners will announced on this thread on March 10th. Next, start up the game either in Stella or copy the file to your Harmony cart to run on real hardware. If you are running this in Stella, please note that you will need a later version that supports the CDF bankswitching scheme to run it. 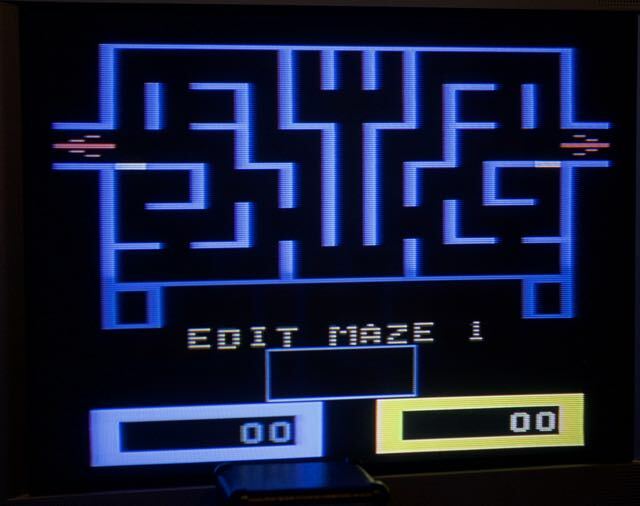 There are two options: "ARCADE MAZES" or "CUSTOM MAZES". 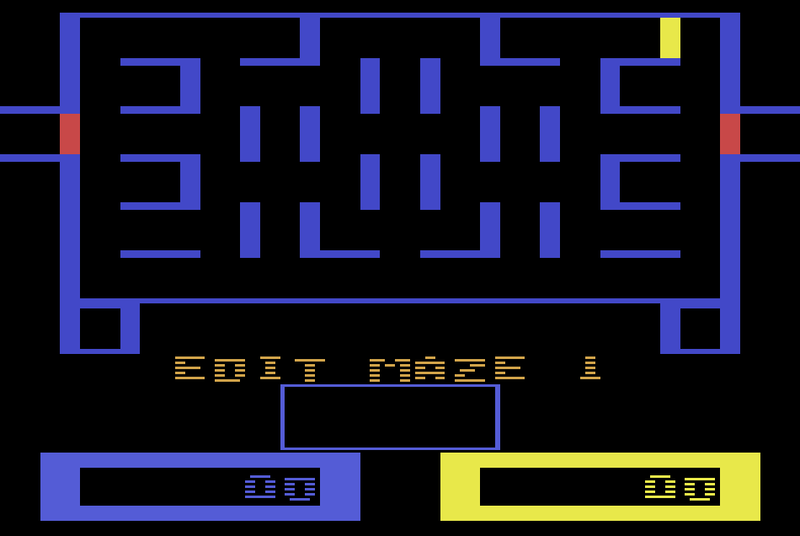 When ARCADE MAZES is selected, only the Arcade mazes will be used during a game. 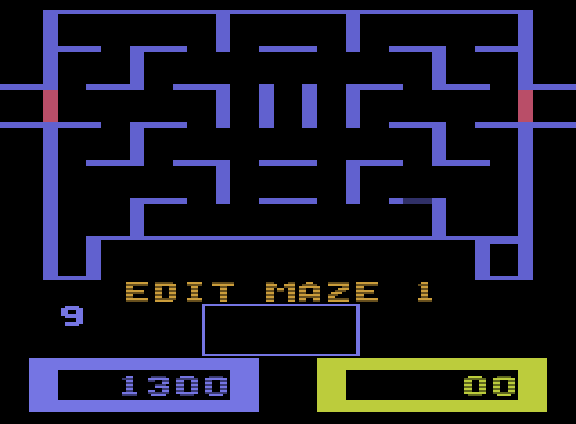 If CUSTOM MAZES is selected, the first 3 dungeons will use the 3 custom mazes. 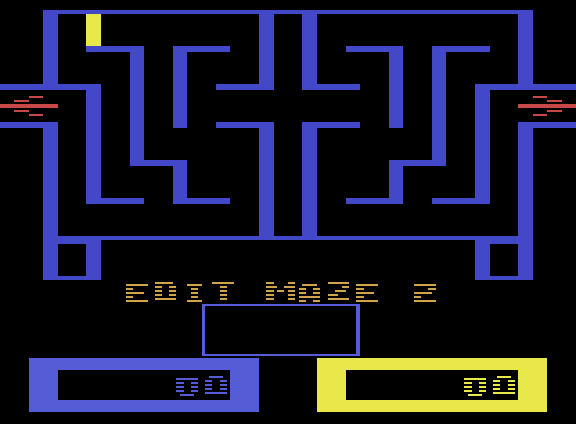 The rest of the mazes in the game will use arcade mazes. 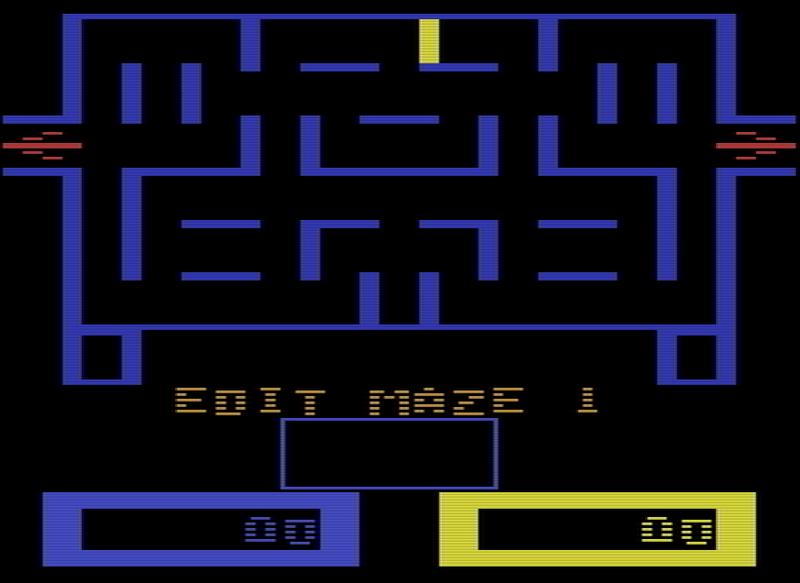 To switch between the two options, either press left or right on the joystick or press SELECT. 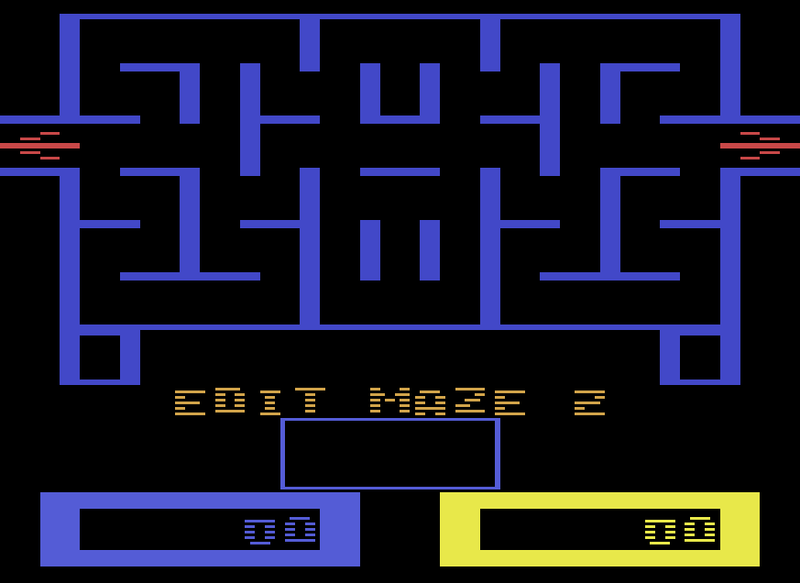 If you want to play with only arcade mazes, press the button with ARCADE MAZES is displayed. You can revert your changes to the current maze by pressing RESET. If you haven't made any changes, pressing RESET will display the default maze layout (for this demo, the default is a blank maze, in the final version it will display the winning default maze). 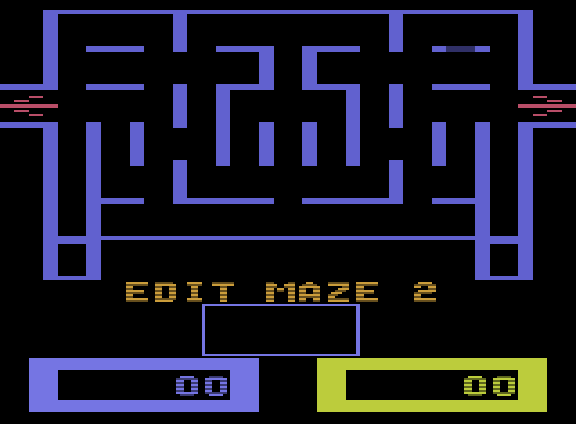 Once you have finished editing the first maze, you can edit maze 2 by pressing SELECT. 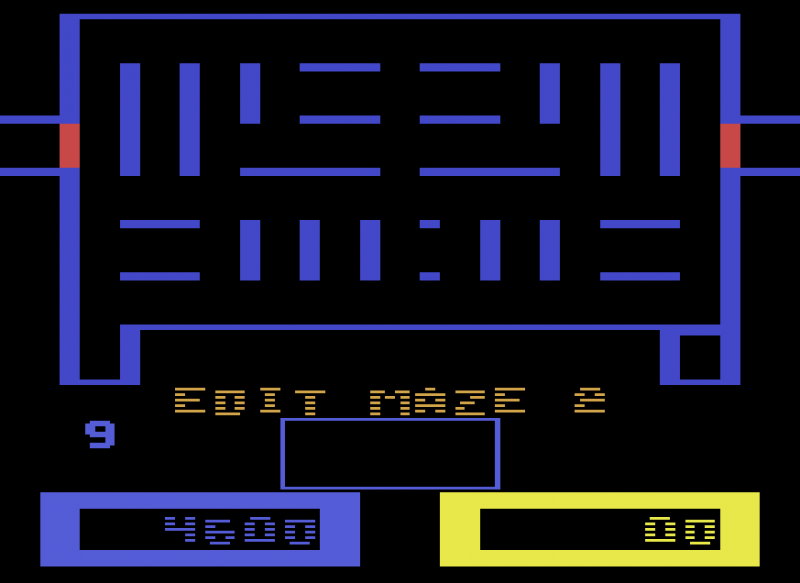 Note that your changes are saved automatically when you switch mazes or return to the title screen. 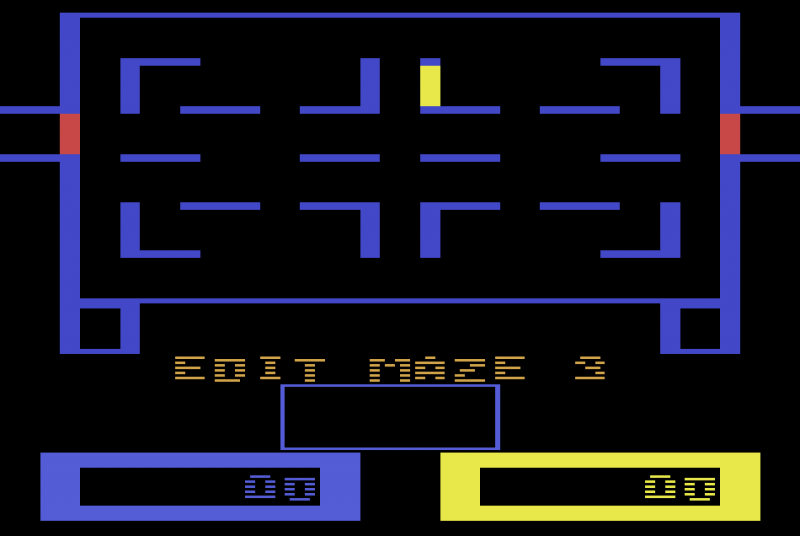 Press SELECT again to edit maze 3, or keep pressing SELECT to cycle through the 3 mazes. 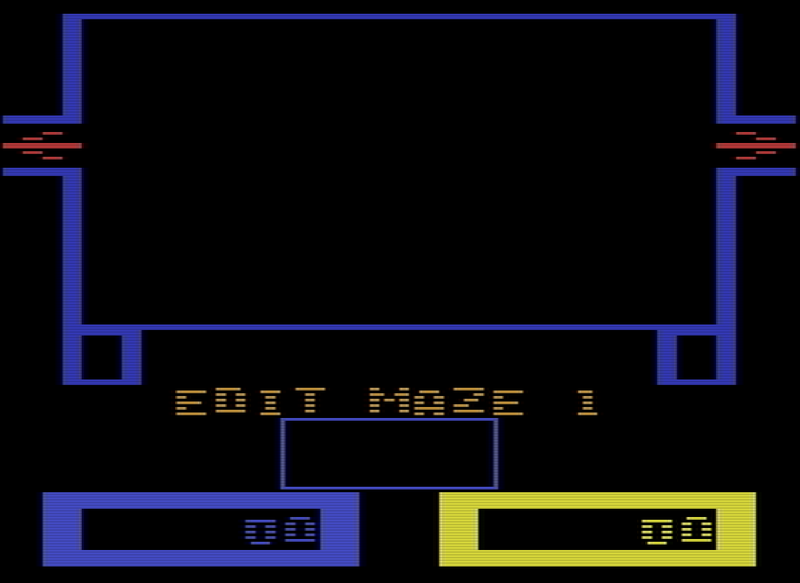 When you are done editing, you can return to the title screen by flipping the Color/BW switch (Pause on a 7800). 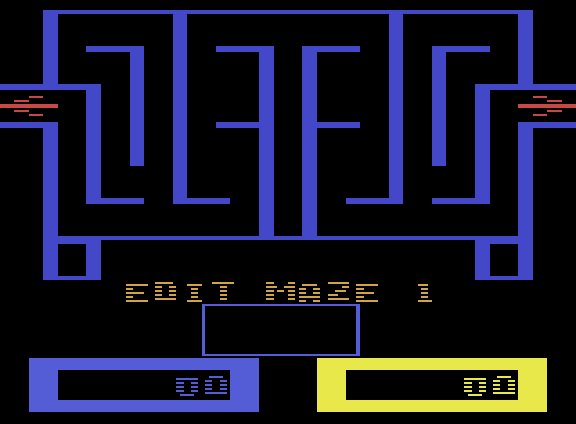 Press reset or the fire button to start a new game and test your mazes! 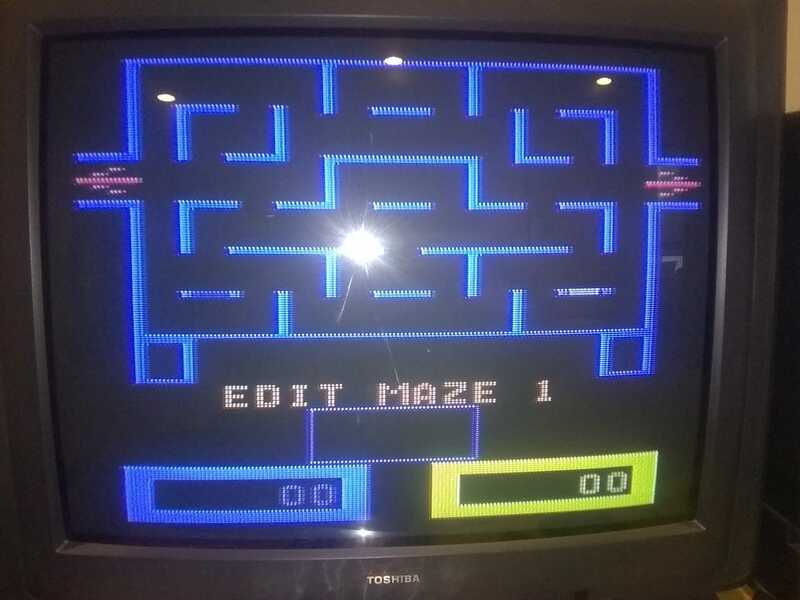 Once you have decided on your mazes you wish to submit, press F12 in Stella to take a screenshot (or take a picture of the screen if using real hardware) and post your submissions on this thread (maximum of 3). Edited by johnnywc, Fri Feb 22, 2019 12:06 PM. For my first entry, I created a maze based off the one from the Atari 2600 port of Pac-Man. 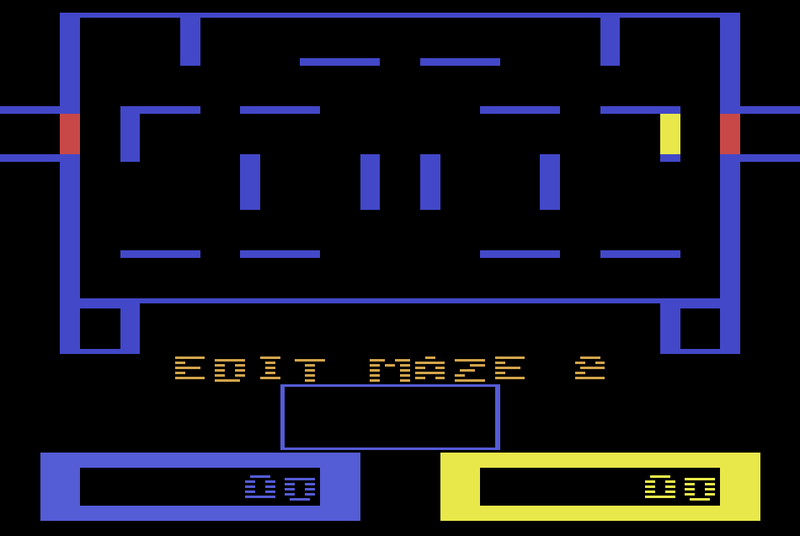 The maze editor is very cool! It's fun seeing what maze ideas work (or not). I've found that it's pretty easy to make a bad one. Hi, thanks for the opportunity. Please find my 3 submissions. 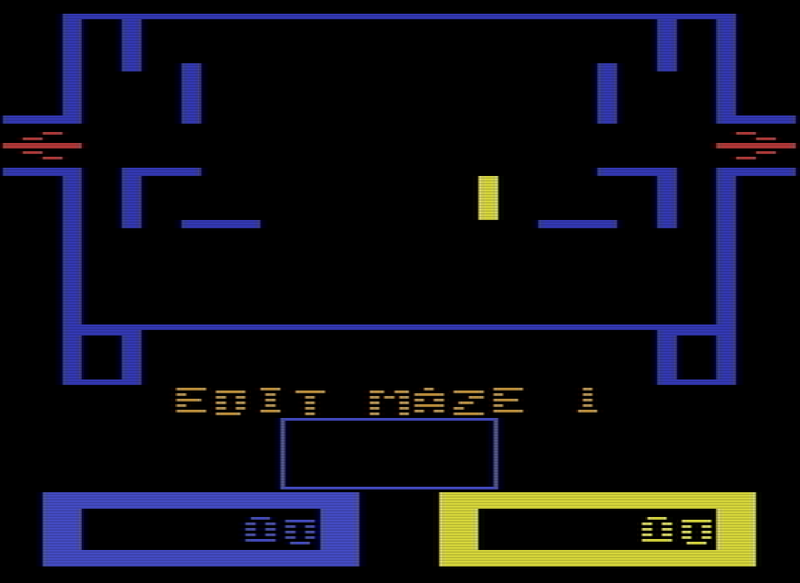 Note: You may see the yellow cursor block in place of a blue wall or space. 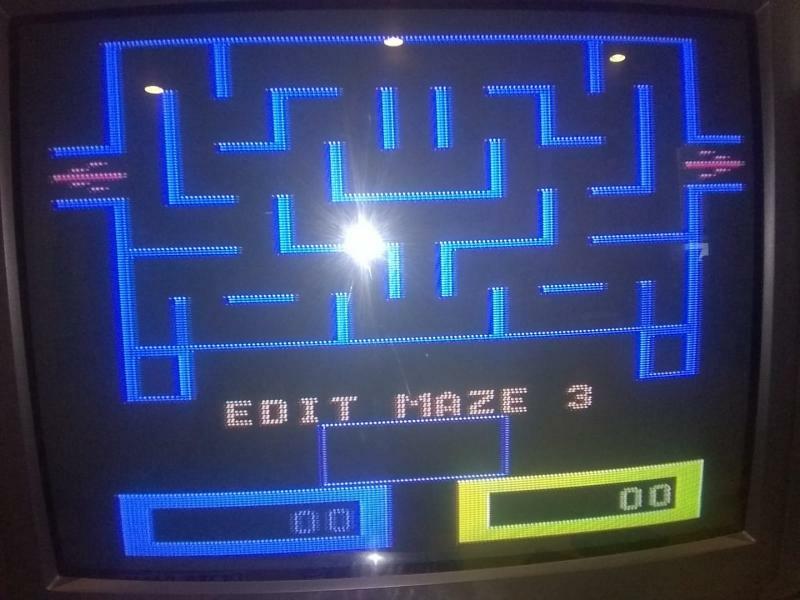 Cursor was blinking when I took the snapshot, but side on the maze must be symmetrical. Edited by alortegac, Fri Feb 22, 2019 9:25 PM. Cool contest. These are my entries. I don't have stella, so it's old school picture time! My son and I spent all evening making/testing mazes(such a good time). Edited by Machine, Sat Feb 23, 2019 12:21 PM. Here are my second and third entries. 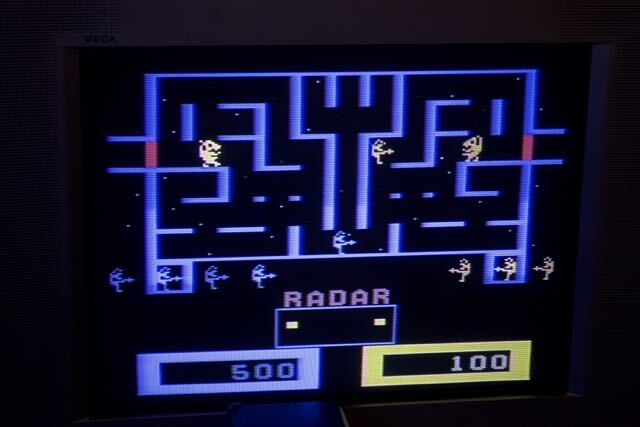 It'd be nice if the contest got some front-page coverage on AtariAge, so there would be more responses to it (not knocking the current entries at all - but more choices would be great). Done! Also posted on Facebook and Twitter. Champ Games you are amazing programmers! Here are my three submissions. Very cool! Quick question; were you playing this on Advanced? I'm wondering where those partial horizontal walls came from 4 lines down. On Advanced, the walls will slowly deteriorate over time. 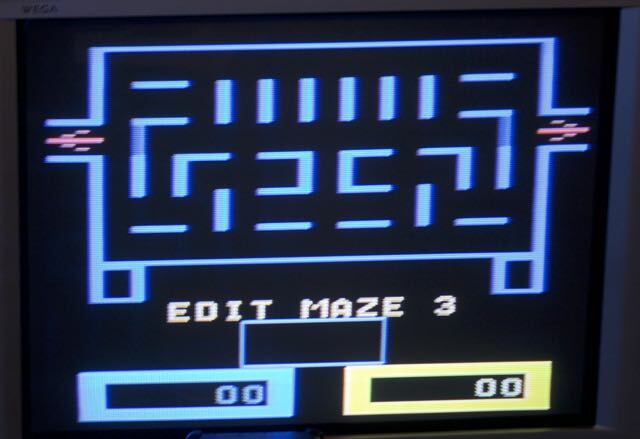 Can you take a pic of the maze either on Standard or in the editor? 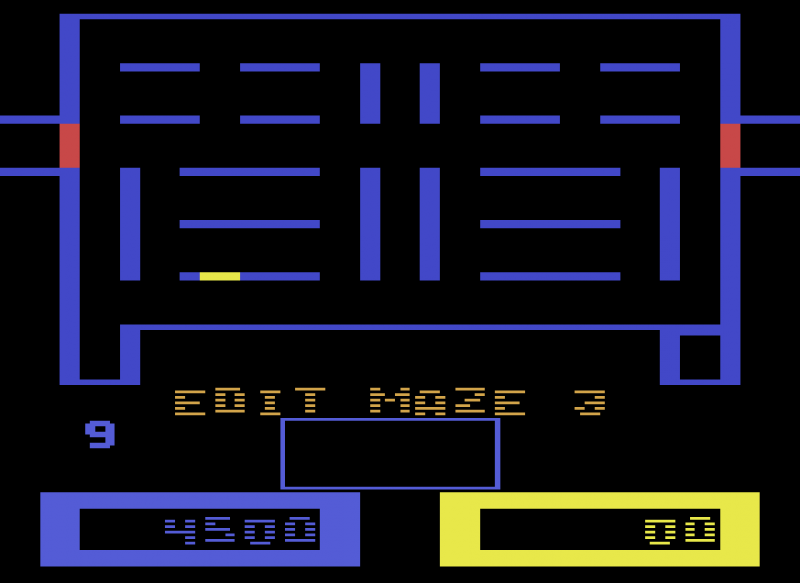 Love this game, I may use some of the maze design skills I honed with KC Munchkin as a kid (though if I were really to do what I did then, I'd be turning the maze walls into dirty words...). Quick question about the gameplay itself... Is something happening where, if I shoot into an enemy's shot, (1) if the enemy is still in a horizontal or vertical line with me, I'll cancel out his shot (and then get to fire again and kill him), BUT (2) if I fire into an enemy's shot, but the enemy has already moved out of my line of fire, I WON'T cancel out the shot and I'll still get hit? 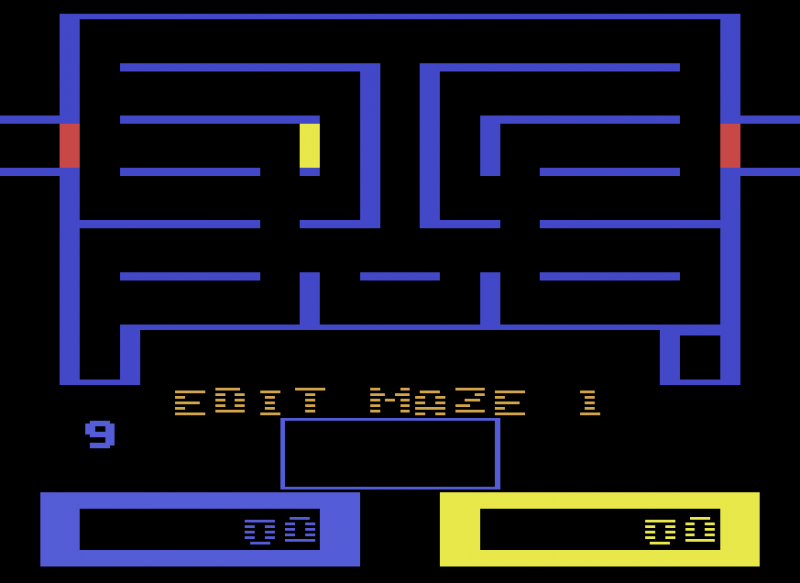 BTW: when playing this latest version, I notice pieces of your maze disappearing as time goes on. Happens in the regular arcade mode too. Is that normal? I do not remember that "feature" in the arcade game, but it does add something to the gameplay. Just wish pieces wouldn't start disappearing until a bit later on in a given stage. You know, as something to help break up those instances where the baddies are tough to shoot because there's too many walls or too much in the way. N/M, just read your response. Yes, must have been playing in Advanced mode. I'll snap another pic. First one of 'The Trident' is not supposed to look like that at start. Looks like we were posting at the same time. 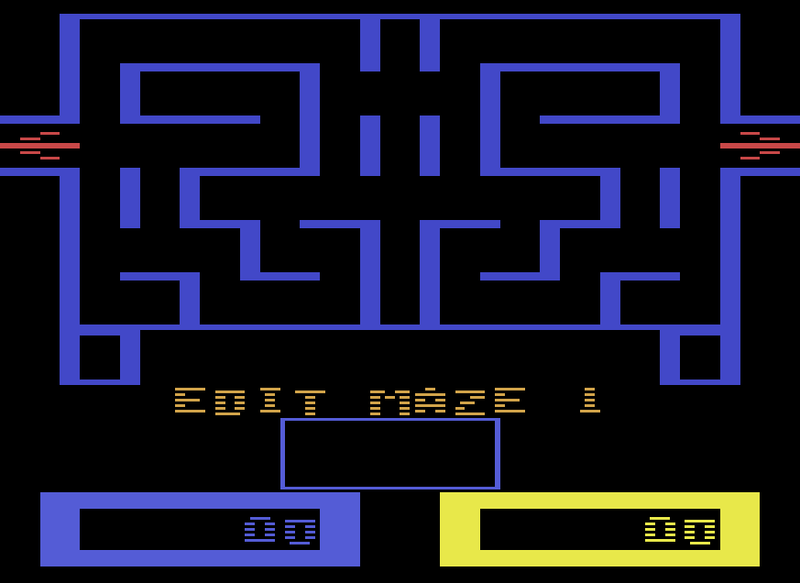 Yes, the walls disappear, but only on ADVANCED mode (both for ARCADE and CUSTOM mazes). 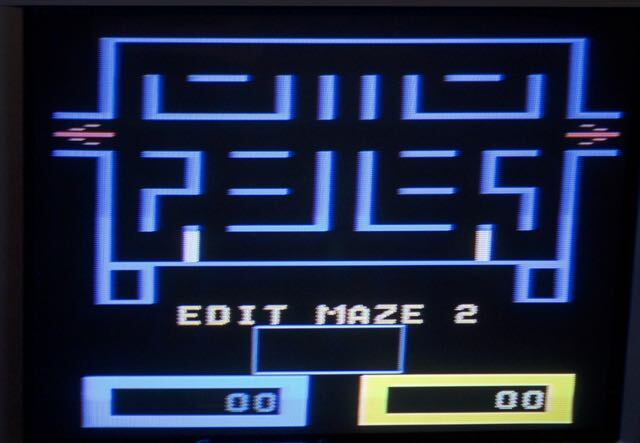 It's a feature I'm experimenting with; I do agree that perhaps they shouldn't start disappearing until later in the maze (maybe not until all of the blue guys or killed or something like that). That is how it's supposed to work. You cannot shoot the enemies' shots. The rule of thumb is: when you shoot an enemy, any shot that he has on the screen will disappear immediately. In your case, if you shoot at an enemy and miss him, his shot will continue along it's path, even if your shot crosses his shot. Edited by johnnywc, Tue Mar 5, 2019 2:08 PM. No problem... thank you and everyone else involved, that's producing yet another incredibly polished VCS port! Love these contests too. 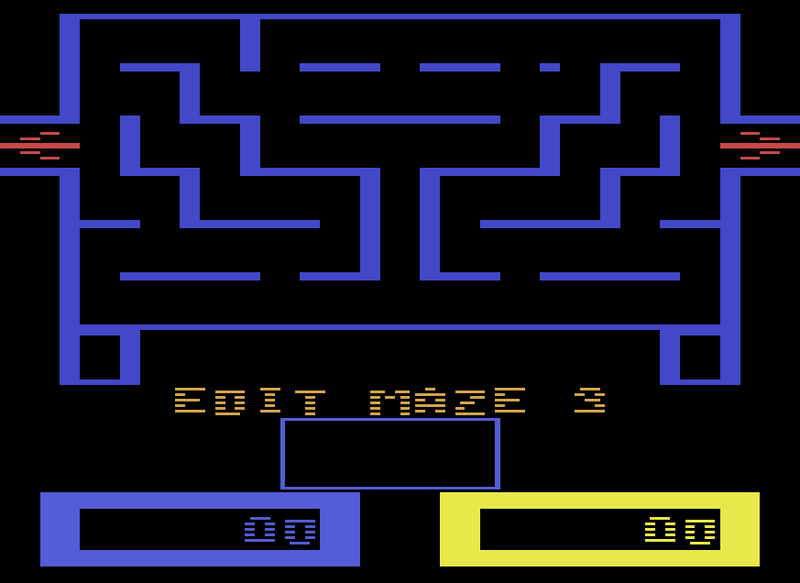 And with the addition of the maze editor option, you've made an already great conversion infinitely more fun.